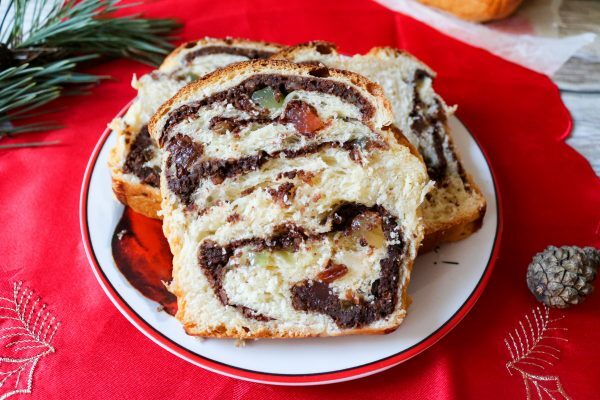 These chocolate coconut squares are a dessert which is mainly prepared at home by Romanians. 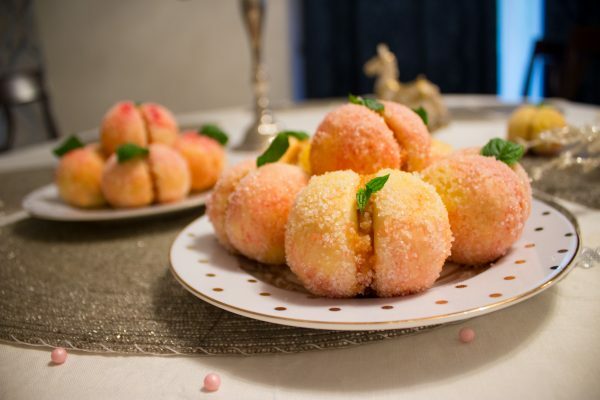 You probably won’t find it that often in Romanian bakeries, but just so you know, it’s called ‘tăvălită’ in Romania, which basically translates as ‘tossed around’. The process of making these chocolate squares involves rolling them in coconut after covering them in chocolate, so that’s where the ‘tossed around’ name comes from. The first time I tried chocolate coconut squares was once at a friend’s house, and since I loved it so much, I tried to make it at home. I wasn’t so good at baking 5 years ago, but I remember it turned out pretty good. I covered it in colored, shredded coconut, and my fiancé and I loved it. 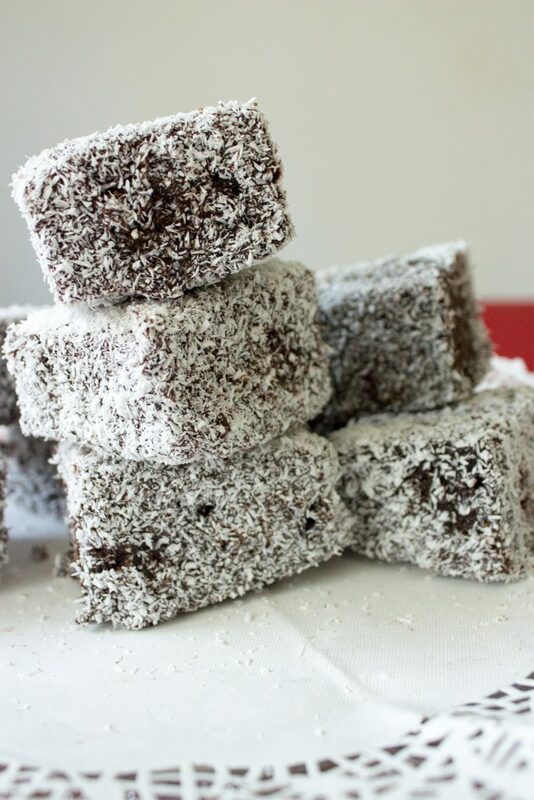 Some time ago, I discovered that a version of these chocolate coconut squares is actually known as ‘lamingtons’, an Australian dessert. 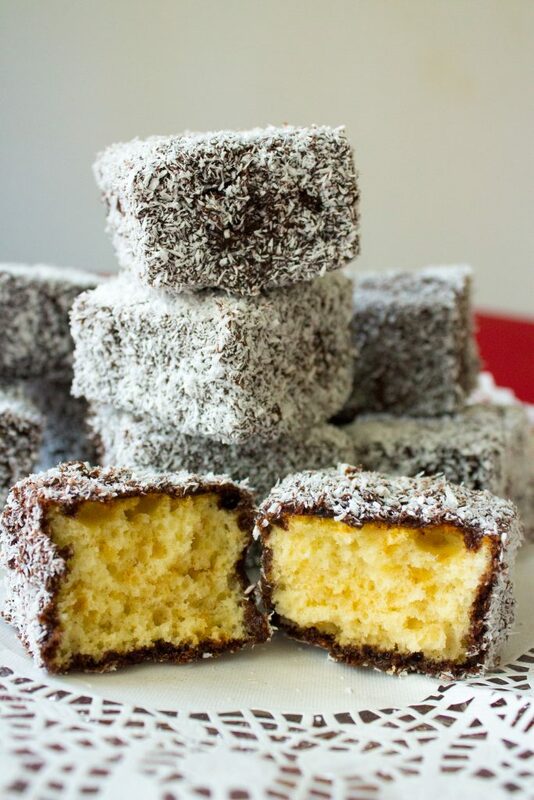 I’ve seen that the classic lamingtons recipe requires using real chocolate and no honey. This recipe doesn’t involve using chocolate – instead, you have to make a cocoa, milk. sugar and butter glaze. In Romania, we like to add honey to the cake batter, and prepare a homemade cocoa glaze instead of one that has melted chocolate in it. I don’t know why, but I’ve always preferred the homemade chocolate creams, with butter, cocoa, milk and sugar, instead of chocolate ganache or other similar ones. 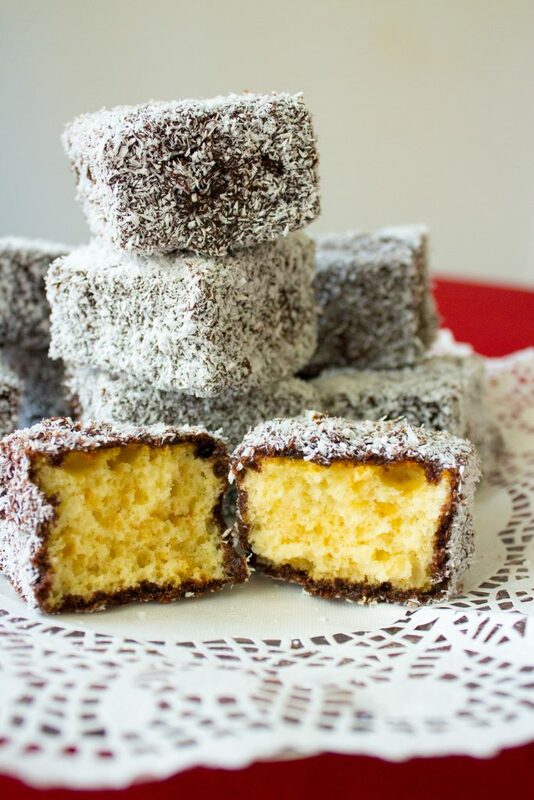 When you make these chocolate coconut squares, make sure you use a good-quality honey, and don’t forget about adding the lemon zest to the batter – this is the ingredient I never skip adding when I make a white batter cake. It usually makes all the difference. Some Romanians prefer to substitute the coconut with shredded walnuts. A lovely idea would be to use different toppings for the chocolate squares – you can cover some with coconut, some with walnuts, pistachio, or mini-sized candy. In a mixing bowl, beat the eggs with a pinch of salt until they double in volume. Add the sugar, the honey, the melted butter, vanilla essence and lemon zest, and mix until combined. 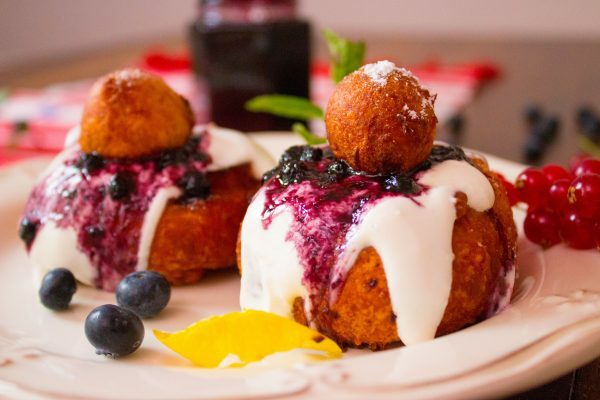 Mix the flour with the baking powder, then add it gradually to the batter, alternating with the milk. Pour the batter into a medium baking tray, covered with parchment paper. 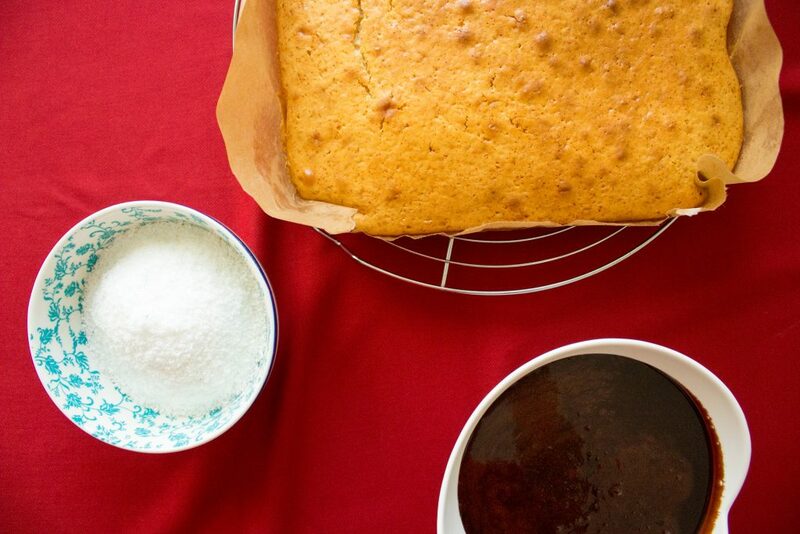 Bake the cake for 30 minutes at 160°C (320°F). Insert a skewer in the middle of the cake to make sure it’s done – the skewer should come out clean when the cake is ready. In a sauce pan, add the butter, the sugar, the milk and the cocoa, and stir on low heat until you get a glossy glaze. Turn off the heat and stir in the vanilla essence. Let the glaze cool completely before using it and transfer it to a deep, small bowl. 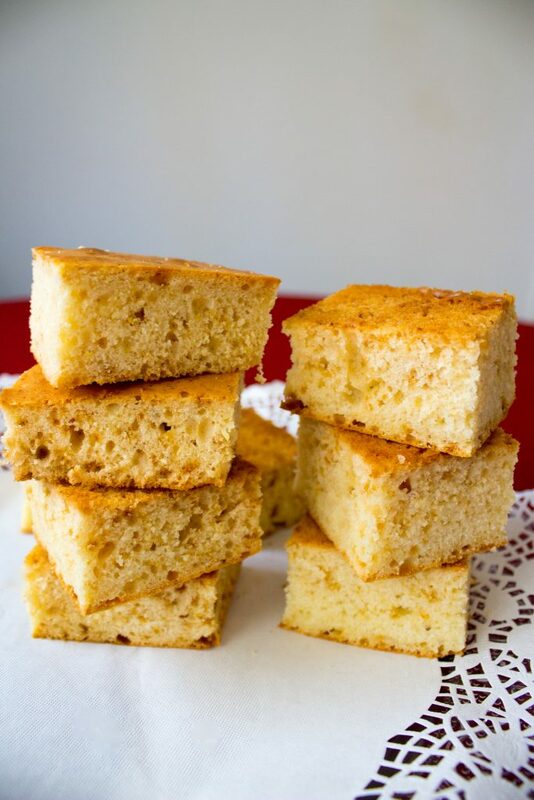 Cut the cake into squares (make them as small or as big as you prefer). Using two forks, dip each chocolate square in the cocoa glaze, and immediately toss them around in shredded coconut. The chocolate coconut squares are best after sitting for 2-3 hours in the fridge. 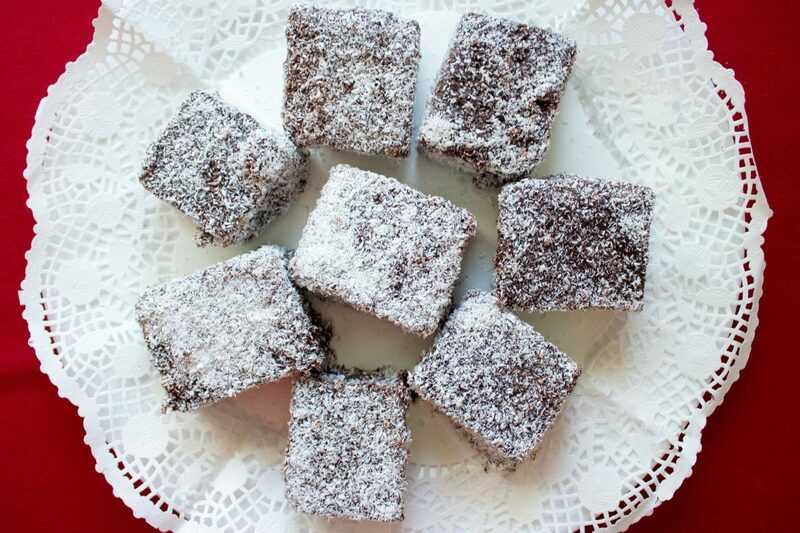 I don’t know this chocolate coconut squares from home, but I’d love to try them someday.